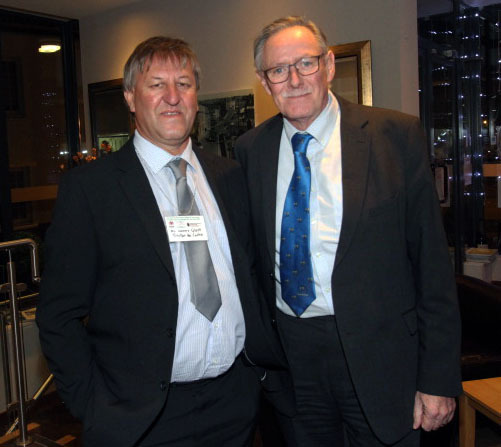 3rd UK Overseas Territories Environment Ministers' Meeting attended by James Glass and Jim Kerr. On 6th and 7th February 2018 I attended the 3rd meeting of UK Overseas Territories and Crown Dependencies Environment Ministers' Meeting in the Isle of Man. I was fortunate to be joined by James Glass, Island Councillor and Director of Fisheries. The meeting, jointly chaired by Prof. John Cortes (Gibraltar Minister for Education, Heritage, Environment, Energy and Climate Change) and Hon. Geoffrey Boot MHK (Isle of Man's Minister for Environment, Food and Agriculture), was a great success covering a range of topics including the possible impacts of Brexit, climate change, the replacement of the European Development Fund that has enabled a number of infrastructure projects on Tristan, future trade with the EU and support for further development of renewable energy. There was also much talk about Blue Belt and the impact of plastics on the ocean. Delegates including Jim behind James, second from right. We were also able to report on the Gough mice eradication project and made clear the importance of tariff free access to the EU for Tristan's fishery. Delegates during a working session: Jim and James seated facing the camera. On the final morning the conference was joined by Mr Ben Merrick, Director Overseas Territories representing Lord Ahmad, Minister for Overseas Territories, Dr Gemma Harper, Deputy Director for Marine Defra and Mr Huw Davies representing Hon Claire Perry MP Minister of State for Climate and Energy. Dr Therese Coffey MP, Parliamentary Under Secretary of State for Defra joined the meeting via Skype. Delegates during their tour of the Isle of Man: Jim far left and James second from right. 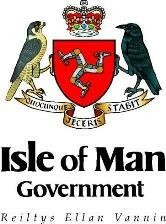 Following a useful discussion during which the representatives of the UK Government were able to listen to the needs and concerns of UKOTs and Crown Dependencies the meeting closed and all the delegates were treated to a tour round the Isle of Man. James Glass stayed on after the conference to do some work with the Isle of Man Fishery Department. 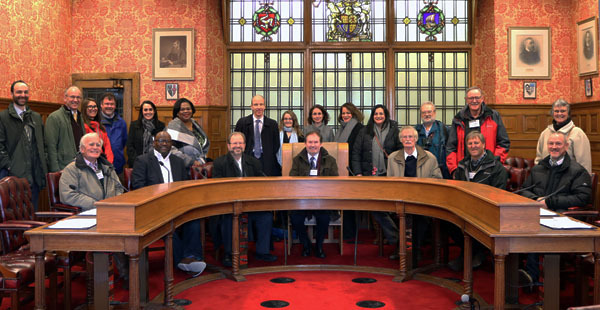 Ministers and senior officials from UK Overseas Territories (OTs) and Crown Dependencies (CDs) travelled to the Isle of Man this week to discuss the future of the environment in their jurisdictions. 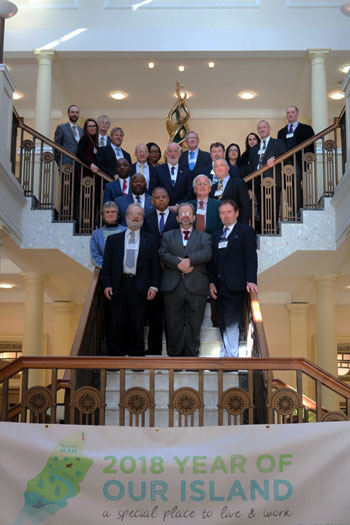 This was the third Council of Environment Ministers of UK Overseas Territories and Crown Dependencies and took place in Douglas, on 6th and 7th February. Previous meetings took place in Gibraltar in 2015 and continued in Alderney in 2017. The meeting was hosted jointly by Geoffrey Boot MHK, the Isle of Man's Minister for Environment, Food and Agriculture, and Professor John Cortés, Gibraltar's Minister for Education, Heritage, Environment, Energy and Climate Change and co-ordinated by the UK Overseas Territories Conservation Forum (UKOTCF), a non-governmental organisation. The agenda for the meeting focussed on sustainability in the terrestrial and marine environment, climate change, the impact of natural disasters on communities, environmental resilience and the Isle of Man's designation as the first entire nation UNESCO Biosphere Reserve. Common opportunities and challenges were discussed on issues such as the role of the environment in growing the economy, energy efficiency, sympathetic development, enforcement and the impact of plastics. Delegates also discussed the opportunities resulting from, and challenges posed by, the withdrawal of the UK from the European Union. Minister Boot said: 'Although very different in character, our islands all boast beautiful environments that are important to our economies and our way of life and that we wish to retain and maximise the benefit from. 'The meeting was an excellent opportunity to share good practice and discuss common concerns and we learned a lot from meeting that we can put into effect in our islands. Professor Cortes said: 'The way our diverse territories work together in mutual support and for the protection and improvement of the environment and quality of life is our main strength and an example to others. Ministers and representatives of the Falkland Islands, Pitcairn and St Helena, joined the meeting via Skype or other remote means. A post-meeting statement charting the progress made will be agreed by delegates and published. Following the formal business, Minister Boot escorted Ministers on an excursion to Tynwald, Milntown in Ramsey and the Department of Environment, Food and Agriculture's headquarters in St John's, giving them the opportunity to see the Island.